Save up to 15% on your insurance with a multi-policy discount! 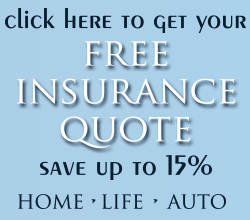 Ken Carlson will provide you with a free, no obligation insurance quote for your home, auto and life insurance. Ken Carlson is a full service independent insurance producer at Gaylor Insurance Agency of Roscommon, MI. Ken Carlson offers quality insurance coverage, professional service and a commitment to our clients’ needs. We offer homeowners, auto insurance, life insurance and protection for your motorcycle, RV, boat, or personal watercraft. Give us a call to receive a free quote or fill in the form below. I will contact you as soon as possible with any additional information I may need to process your quote.